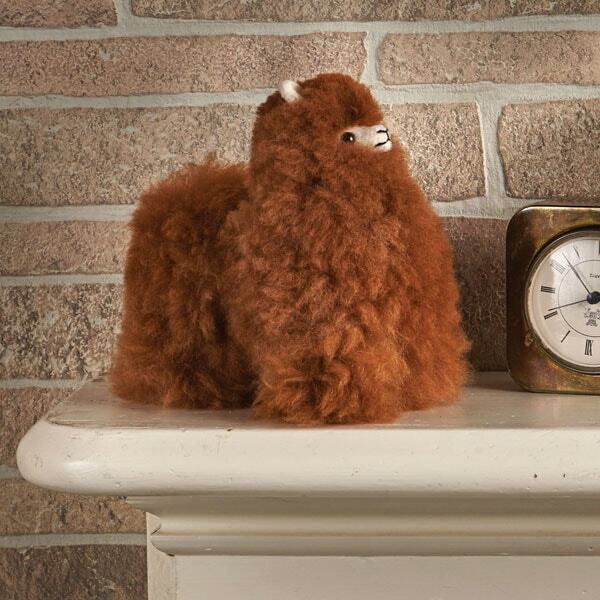 Alpaca fleece was once reserved for Incan royalty. Handcrafted by Peruvian artisans from real alpaca fleece and acrylic wool, stuffed with cotton, fluffy figurine has a felt face, ears, and feet, embroidered features, and button eyes. About 7" long, 8" high. Not a toy.